North Saskatchewan Riverkeeper North Saskatchewan Riverkeeper is a registered Canadian charity that works in partnership with Swim Drink Fish Canada to promote swimmable, drinkable, fishable waters today and into the future. Through water literacy programming that provides community water stewards with powerful tools such as Swim Guide and Watermark Project, North Saskatchewan Riverkeeper aims to help build a healthy community and a healthy watershed from the North Saskatchewan River’s headwaters in the Rocky Mountains to its confluence with the South Saskatchewan near Prince Albert. 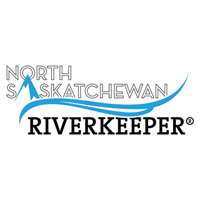 North Saskatchewan Riverkeeper has been an active Swim Guide Affiliate since 2012 and works with Alberta Health Services to provide up-to-date water quality information for over 200 beaches throughout the prairie provinces. In 2017, the organization launched its own in-house monitoring program with sampling locations on the North Saskatchewan River within the City of Edmonton.